GOODYEAR – Dennis Phelan packed his plane, closed the hangar door and went through his pre-flight checklist. 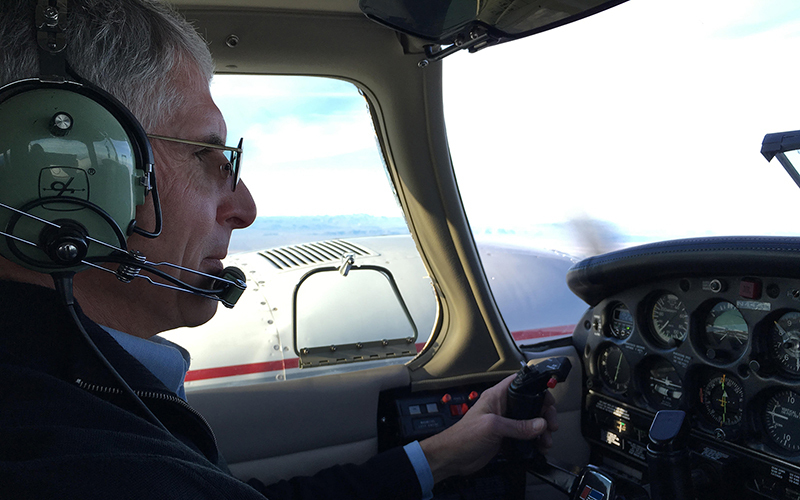 But he wasn’t preparing for a joyride in his Piper Seneca II. Phelan volunteers with nonprofit organization Angel Flight West. He travelled to a small airport in Daggett, California, to pick up a medical patient and his wife. “We do a wonderful service for people: free transportation for the individuals and their families to the facilities to where they need the treatments,” Phelan said. 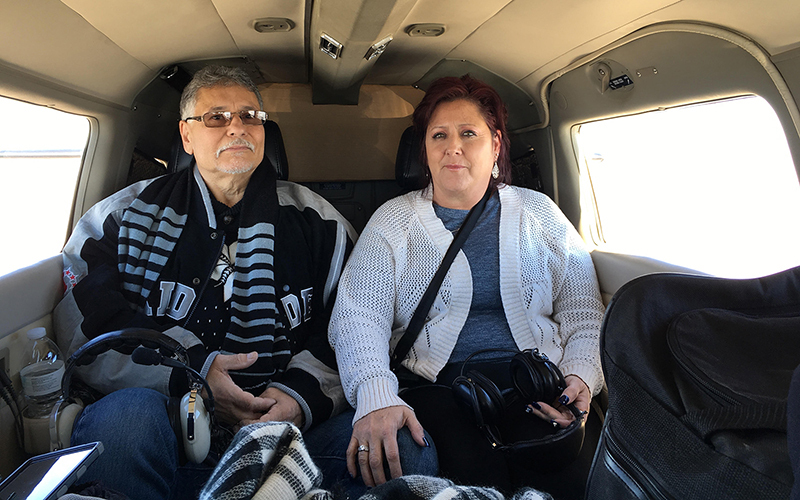 In 2015, volunteer pilots with Angel Flight West made more than 4,000 trips across 13 states, according to Ivan Martinez, associate director of mission operations at the nonprofit. The California-based organization also flies people for other reasons, such as relocating domestic violence victims who don’t have the funds. Phalen, a retired pilot with 30 years of flying experience, has volunteered with Angel Flight West for nearly six years and completed several hundred flights for it. On a recent flight this month, Phelan picked up George Yslas and his wife. Yslas has Stage 4 cancer. “I live just right here in Barstow, California, so we get on the plane here in Daggett and boom, we’re at Goodyear,” Yslas said. Doctors diagnosed Yslas about nine months ago. On this trip to the Valley, Yslas received chemo and radiation for three tumors at the Cancer Treatment Centers of America. Before Angel Flight, Yslas and his wife would take Southwest Airlines flights out of Los Angeles International Airport or drive. “We drove one time and matter of fact, that was last week,” Yslas said. “It was too hard on him,” his wife, Diane, added. Private plans vary widely in cost. One charter company advertised flights on a “very light jet” at $1,750 to $2,100 an hour. “We’re blessed to have Dennis pick us up and drop us off. It’s right there. I couldn’t ask for any closer. God has blessed us for that,” Yslas said about the convenience of being picked up at the local small airport. But the benefit is mutual for pilot and passenger. Sometimes, Phelan goes to treatments with passengers. Other times, he will leave them with family or drop them off at the facility. 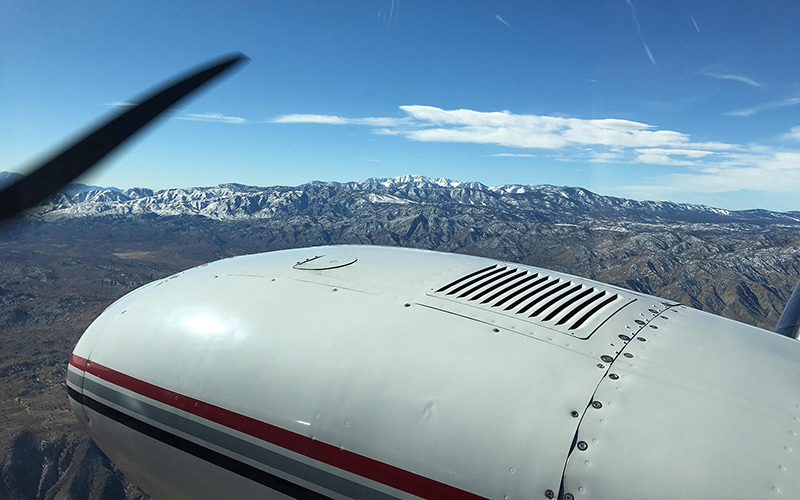 In Arizona, the group’s pilots flew 770 hours on 269 legs in 2015, according to the nonprofit. This led to a total pilot donation of $782,249.